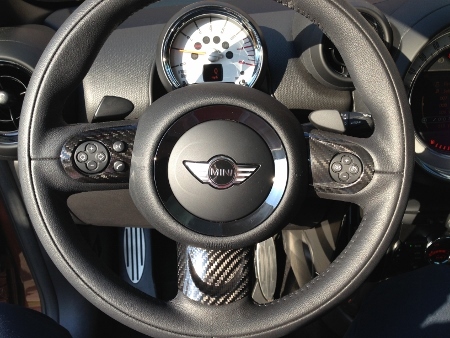 Carbon Fiber Steering wheel Overlay kit for R55 R56 R57 R58 R59 R60 R61 Steering wheel with multi function cruise and radio controls. If you love carbon fiber like we do, this is a must have and they look totally awesome. 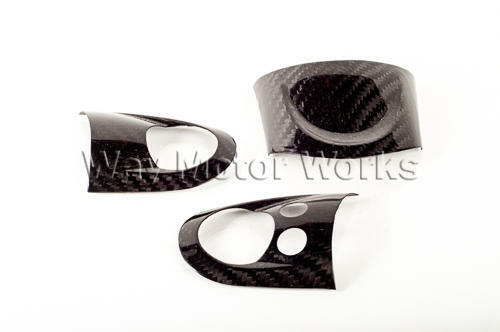 These Overlays are made of motorsport quality dry carbon fiber that is heat-formed in a metal mould in a vacuum chamber.